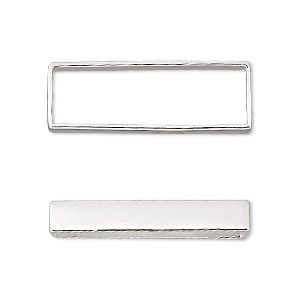 Bead frame, sterling silver, 30x10mm rectangle, fits up to 8mm bead. Sold individually. Item Number: H20-2860FY Have a question about this item? 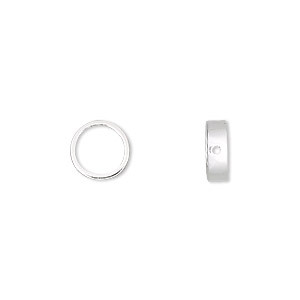 Expert craftsmanship and top-quality, polished finish make these components a true find. 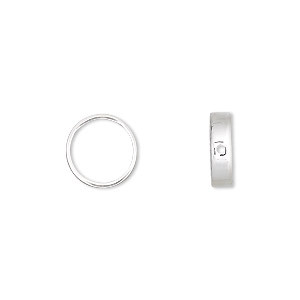 Cast sterling silver is durable yet lightweight. 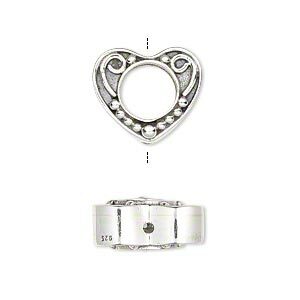 Use in earrings, wear as pendants or link together with other design materials. Open frames can be embellished on the inside through the center holes or wrapped around the outside (or both) for multiple design uses. Bead frame, sterling silver, 16x14mm rectangle, fits up to 6mm bead. Sold individually. 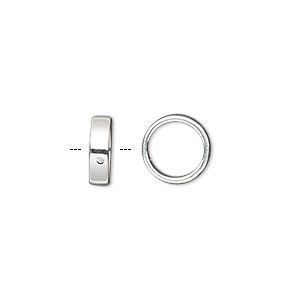 Bead frame, sterling silver, 9mm round with 0.9mm hole, fits up to 6.5mm bead. Sold per pkg of 2. 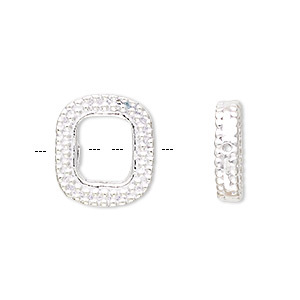 Bead frame, sterling silver, 10mm round with 0.9mm hole, fits up to 7mm bead. Sold per pkg of 2. 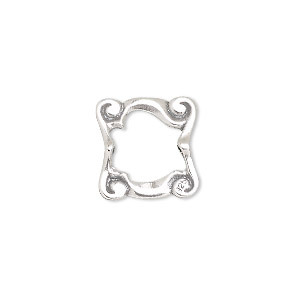 Bead frame, JBB Findings, sterling silver, 15x15mm square with swirls, fits up to 8mm bead. Sold individually. 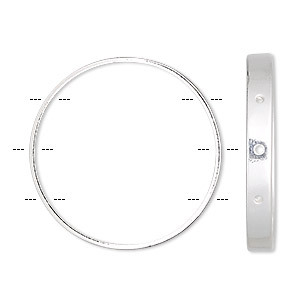 Bead frame, sterling silver, 30mm round, fits up to 27mm bead. Sold individually. 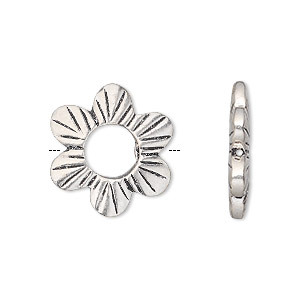 Bead frame, sterling silver, 17mm round with 4 flowers, fits up to 8mm bead. Sold individually. 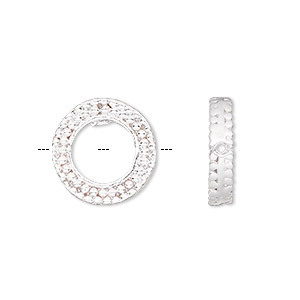 Bead frame, sterling silver, 15mm round with dots, fits up to 7mm bead. Sold individually. 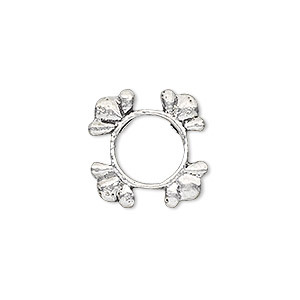 Bead frame, sterling silver, 19x18mm flower, fits up to 6mm bead. Sold individually.